Not many things have surprised or even upset the English film and theatre world as much as the news that Sir Laurence Olivier would star opposite Marilyn Monroe in the “The Prince and the Showgirl”. Imagine – the great Shakespearian actor and Hollywood’s dumb blonde (although since her marriage to playwright Arthur Miller she has been considered slightly less dumb). The combination was not easy to stomach for the British. – He must be mad! an upset and surprised friend exclaimed. This friend can’t have been part of Sir Laurence’s closest friends. Had he been he would have known that even if Laurence Olivier is a great actor, a fine producer and a fully fledged theatrical director, he is also a person who likes to surprise. Given the chance he will always prove that boredom and routine have no place in theatre and film. This was one of the reasons for him saying yes when Marilyn Monroe asked if he would play the main part in the film version of Terrence Rattigan’s play. Marilyn’s own production company had bought the film rights for the net amount of 700.000 SEK. She herself was going to play the female lead – on stage played by, amongst others, Vivien Leigh. The tabloid journalists sniffed around looking for any signs of jealousy on Vivien Leigh’s part. They were cruelly disappointed – Olivier did his job as actor and director and learned to like Marilyn Monroe and that was that. The thing that irritated him was the name of the movie – the play had been named “The Sleeping Prince” by Terrence Rattigan. The movie’s name sounds like an old musical with Betty Grable, Olivier complained. 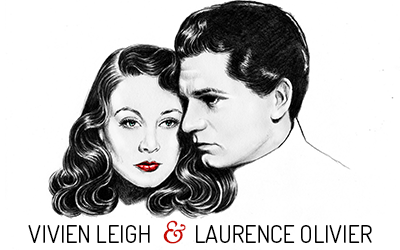 This is not the first time the tabloid journalists and the rumourmongers have brought up the word divorce in connection with Laurence Olivier and Vivien Leigh – English theatre’s ideal couple. Only last spring it was announced by the world press that “the famous acting couple Sir Laurence Olivier and Vivien Leigh are, despite earlier denials, filing for divorce. 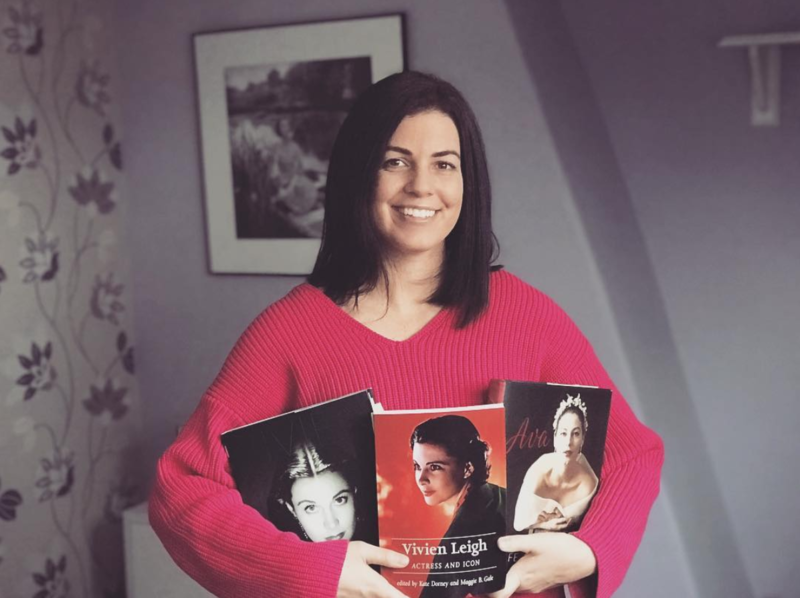 Vivien Leigh will remarry her first husband and return to her 18-year old daughter who lives with her father. Sir Laurence intends to marry one of the two beauties he has lately spent time with, the actresses Susan Stirling and Joan Plowright”. Only time will tell. Until then it is advisable to stop wondering and instead enjoy the fact that Vivien Leigh is a fine actress and that her husband Sir Laurence Olivier is an actor of real greatness. How did he become one? How did he start and how did he go on? It all started over 30 years ago with a conversation he had with his father, a clergyman. Laurence’s older brother had left home to take up a position in India which was very common in those days. Laurence, who was then 16, wanted to leave as well. – Don’t be stupid. You are to become an actor, came the somewhat original answer from his father. So that’s what he did. After a couple of years of theatre studies Laurence walked on stage for the first time in a small English town. Unfortunately he stumbled at his entrance which made the local critic write: “Mr Laurence Olivier makes the most of quite a small part”. A very foresighted critic in a way. As pointed out before, one of Laurence Olivier’s most marked characteristics is the constant search for something new and exciting to be tried out. That’s why, after the two movies “Richard III” and “The Prince and the Showgirl”, he longed for the theatre again. He read through several plays but none caught his interest. None of the old famous dramatists had anything for him and when he asked Christopher Fry how he was getting on with his play, Christopher said: “I’ve just started writing the first act”. But suddenly – at the beginning of last year – there was a thick envelope in the mail box. The envelope contained the first act of a play called “The Entertainer”, written by John Osborne, the perhaps angriest of all England’s “angry, young men”. His “Look Back in Anger” was one of the Swedish theatre’s most discussed plays. Laurence Olivier had already been to see “Look Back in Anger” but failed to find anything remarkable with it. First impression was more like “much ado about anything”. But then Arthur Miller, who himself has been criticised for his plays (Death of a Salesman was very harshly treated by certain American critics when it first opened), happened to come to Britain and Olivier took him to see the Osborne play. During the course of the play Laurence Olivier changed his opinion and become altogether positive. When the curtain came down he went backstage to look for Osborne. – Would you ever consider writing something for me? – I am in the middle of something right now, Osborne replied, but I don’t know…I haven’t really written it with Sir Laurence Olivier in mind. It is indeed correct that the main part in “The Entertainer” at first does not seem like something suitable for Olivier. Archie Rice is a rundown member of a vaudeville act. But since Olivier showed interest Osborne sent him the first act once it was done. In “Archie Rice” Olivier found something new yet again. The part called for him to tap dance, hoarsely sing old patriotic songs and tell silly jokes. He was to dress in a chequered suit, grey bowler hat, wear garish make-up and a forced smile. He took the part. No doubt the economical advisor of Laurence Olivier must have wrought his hands. At the small Court Theatre Olivier could not make more than around 50 pounds a week and this at a time when he had just turned down an offer from Burt Lancaster to direct and act in the movie “Separate Tables”. Luckily this was all for the best. Nobody could have foreseen that the play would be transferred to the Palace Theatre and then go on to play to full houses in Glasgow, Edinburgh, Oxford and Brighton. This artistic experiment also turned out to be a financial success – a very rare combination. The unexpected and the original have for 25 years been Olivier’s passions. But he has more to consider now than when he started out. If he turned up in a silly movie like “Too many crooks” in the 1920s it would soon be forgotten. But it would not be forgotten today if an actor in his position would be lacking in judgement. At the same time he must not stagnate as so many other celebrated actors have done in order to give the audience exactly what it wants and nothing more. How does he look close up? Time has given the 50-year old an air of comfortable maturity. In his teens he sported a thin moustache and shiny black hair which made him look like a country lad (according to his family). Now, however, his looks would not be out of place in the House of Lords. The audience though rarely gets to see him as himself. His delight in make up (“every part must have its own face”) means that he hasn’t been recognisable on stage since the Beggar’s Opera 5 years ago. In his private life he can often seem very distant, almost indifferent, but then he will suddenly pay close attention to what is being said and thoroughly discuss an idea or opinion. He hates looking like an actor when not on stage. This, however, has not prevented him from showing certain dandy tendencies. He might very well wander through the park, on his way to the theatre, on a summer evening sporting gloves, stick and a brown derby hat. But maybe that is unconsciously done. It can also just be his ever present sense of humour. Not even in such a tragedy as “Titus Andronicus” could he prevent himself from finding comic passages. He may be tired and worried in his private life but his sense of humour will not desert him. Laurence Olivier is in general dissatisfied with his performance during the run of a play. He is almost indifferent to criticism for the only reason that he is his own harshest critic. Despite the fact that he is all but a “happy” actor he is considered very pleasant to work with. Peter Finch, for example – a young actor Olivier brought back from Australia – maintains that the reason it is so valuable for an actor work with Olivier is that he makes his co-actors feel their limitations as well as their ability. He is constantly busy figuring out what to do next. While keen to try everything he is also well aware of the risk of making a bad choice. – Yes, yes, he will say to the person trying to convince him to do something. I’m sure that’s fine but is it right? Just prior to the Festival of Britain one of his friends jokingly suggested that he should stage Bernard Shaw’s “Caesar and Cleopatra” and Shakespeare’s “Anthony and Cleopatra” and play them on alternate nights. Nobody took this suggestion seriously and Olivier didn’t even comment. But while spending a few days in Paris, resting, he suddenly called London. He would do it! The two Cleopatras were an instant success. But even while they were playing Olivier had another brainwave. He surprised everybody with the announcement that he would play Macheath in a movie based on “The Beggar’s Opera”. “And now he is going to sing as well! the tabloid headlines screamed. As a matter of fact, Laurence Olivier has always secretly been proud of his singing voice. Most people took it for granted that his voice would be dubbed by a professional singer but that would hardly have been in line with Olivier’s usual way of working. Most people also had to admit that the “bathroom baryton” held up very well for greater tasks. Olivier could thus add another feather to his cap. That the movie turned out disappointingly is another matter, though not unessential. He is very keen on playing comedies for a change. His internal conflicts – which are never visible – could be the explanation to why he lets months, even years, go by without acting in a Shakespeare play. This is something that annoys the serious theatregoer who thinks that since he is known as “the world’s greatest Shakespearian actor” he should live up to that title by justifying it. Sometimes he does and sometimes he doesn’t. The last time he did was when he, after having put up Macbeth and then a very unusual Malvolio in “Twelfth Night”, decided to stage the only Shakespeare play considered impossible to act: “Titus Andronicus”. What Olivier did, probably for the first time in theatre history, was to give the audience a great tragedy instead of the usual choice of either comedy or an exaggerated melodrama. Yet again he proved successful. And why? We will look into to that in next week’s article which also deals with Laurence Olivier’s first trip to Hollywood and the encounter with our own Greta Garbo.